Cindi grew up in Old Bridge before moving to Howell in 1997. 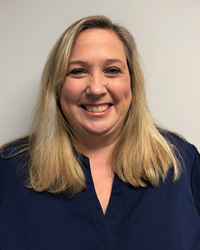 After having two children, she started working part-time at Central Jersey Spine & Wellness at the front desk to spend more time with her children. Fast forward nearly 20 years. Cindi is currently the billing manager at the practice. Her exceptional organizational skills help her to be efficient in the billing department. She is passionate about keeping up to date with the ever-changing world of medical billing. Solving difficult problems for our patients and staff members is fulfilling for Cindi. She easily adapts to her surroundings and using daily applications. She enjoys medical billing because of the variety of situation she finds herself in. These could be with patients, insurance companies or just helping co-workers. In her spare time, Cindi enjoys spending time with her family, reading and watching the New York Rangers. She likes traveling to North Jersey and to Virginia to visit her son and daughter in college. 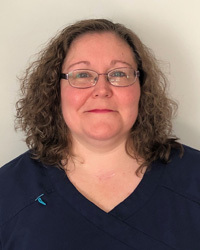 Since 2010, Tina has served as office manager at Central Jersey Spine & Wellness . She brings over two decades of medical office experience. For most of her career, she has worked in multispecialty practices after starting in primary care offices in Staten Island. Tina loves working alongside patients, providers and staff. In her role, she ensures the smooth day-to-day running of the office. She makes it possible for other employees to function effectively while achieving exceptional patient care with excellent outcomes. Tina is always available when and where she is needed. She works with the staff and providers to implement new office systems. She also helps to ensure that all our patients receive the highest levels of customer service, whether it comes to appointment scheduling, or simply providing a comfortable and personal experience. When not at the office, Tina enjoys spending time with her children and dog. She enjoys crafting and attending vendor shows.